After the Essential Skills course you’ll be really, really good with Excel. 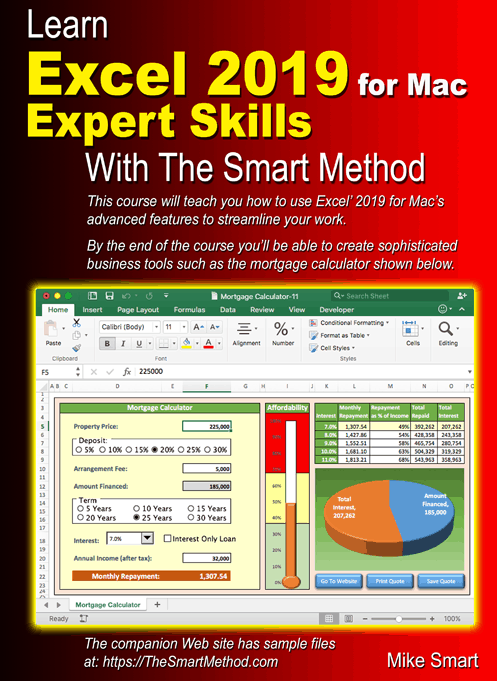 If you want to join the tiny elite of power-users who can do absolutely everything with Excel you can take the Expert Skills course and become a true Excel guru. This book is also available for the Windows versions of Excel: Excel 2007, Excel 2010, Excel 2013, Excel 2016, Excel 2019 and Excel 365 as both printed books and e-books.